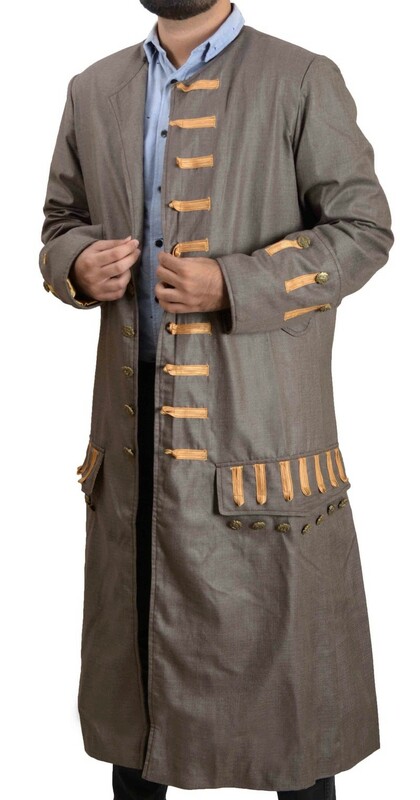 I've found a frock coat in usajacket.com for 179 $. Does anyone know anything about it? Is that even possible? It has already got two five-star-reviews, that state that the fabric is of a much higher quality then the price. What makes me sceptical except for the price, is the pictures. They've put pictures of a screen used coat in, if I am correct. I already texted them a few days ago and asked for more pictures, but did'nt get an answer yet. for 150 bucks and they sell it for 179? Any help, advice, good or not as good words, rum, etc. is appreciated. The coat looks like this in real life. Good, that I did'nt buy it. You saw the coat I have and the video I made of it? Yyyyyuuuuhh!! That's a little different to say the least. Trade descriptions?? Glad you didn't waste your money mate! Mojo Turbo wrote: You saw the coat I have and the video I made of it? @Cap'n: You're welcome. It was no bother, since I wanted to know it for myself too. @Blady Savvy: I'm veeeeeeery glad too. The trade descriptions are on their site: usajacket.com - look for the sparrow coat.